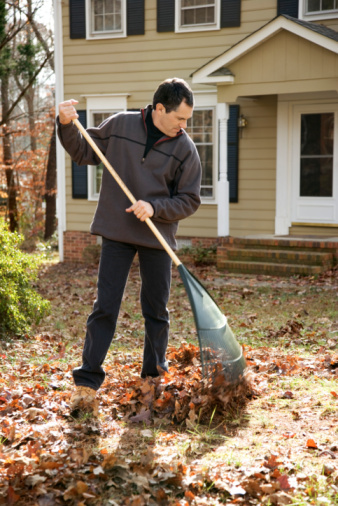 Raking leaves is an important part of home maintenance when selling your home. Fall is one of the best times for you to sell a home. But in order to sell it, you have to first maintain it. Home maintenance can be the biggest pain, but it is important to make sure your home looks presentable at all times. While it may not seem like that big of a deal, home maintenance can play a significant role in how attractive a home is and how it affects how others see the home. When selling a home, make sure you keep up the maintenance. Let’s take a look at how maintenance or lack-there-of can affect your home sale. A well-maintained home has more curb appeal than others on the market. Homes that are well maintained generally show better than homes that look shabbier and aren’t so well maintained. Even if major renovations aren’t feasible for the sellers, a little elbow grease and some time spent in the garden can help boost your curb appeal. The last thing a buyer or a seller wants is a surprise at the inspection. Proper home maintenance can generally prevent these surprises from cropping up at the most inconvenient time. A lack of maintenance can actually lead to your buyers backing out. So with proper maintenance schedules, you can avoid these untimely surprises. If your home looks spotless outside and beautiful inside, you may be able to get the asking price for your home. A beautiful house with the right curb appeal and no visible defaults will fetch more for your home than one in need of an update. The upkeep of your home can install confidence in your buyers. They will feel more comfortable in your home, linger over rooms and features, and leave feeling confident that the house has been well-kept over the years. Don’t skip a week of doing chores and maintenance, or you may risk losing money or a sale altogether. For more information on selling your home, call Simply Referable today! Together, with your Simply Referable team, you’ll cut the right deal for the right price with qualified guidance every step of the way. Every team member is committed to selling your home and forming a lasting bond with your family. Thanks to our roots in the Maryland/DC region, we can help you find your dream home. Contact us online and give us a call at 410-983-9045. To see some of the stunning homes we work with, follow Simply Referable on Facebook, Twitter, Google+, Pinterest, YouTube, and LinkedIn.